Michael Conlan's promoter Bob Arum has come out in defence of the Belfast boxer after he was criticised for his ring-walk last week. In the aftermath of the fight, DUP leader Arlene Foster criticised the chant but as far as Arum is concerned, people need to move on. As reported by the Belfast Telegraph, Arum explained that Michael Conlan did not mean to offend anyone. I know he has received criticism for what he came out to but I think people need to get over it because the Troubles are over. People need to move on but the songs and chants on both sides still stir the blood and the people in the arena went nuts when they heard it and I haven't seen enthusiasm like that for a long time. But I'm an American, so maybe my view doesn't count. I understand it can be a sensitive issue but it was not done to cause offence and here in the States everyone is just commenting on what a great atmosphere it was and what a great production. 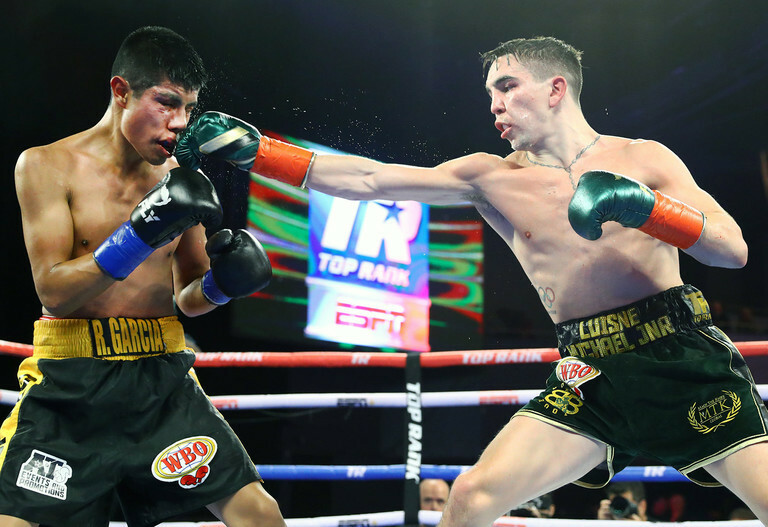 In the ring, Conlan secured a unanimous decision victory and immediately set his sights on Vladimir Nikitin, who infamously was awarded a controversial win against him in Rio 2016.